Bryan M. Wiley | Keough & Moody, P.C. Bryan M. Wiley joined the firm in 2016 and is primarily focusing on the collection of assessments for the firm’s clients. Bryan has worked extensively on collection matters and has achieved desirable outcomes for our clients. He has appeared in court on collection and foreclosure matters before judges in the collar counties and in Cook County, and he has successfully argued motions before the United States Bankruptcy Court for the Northern District of Illinois. 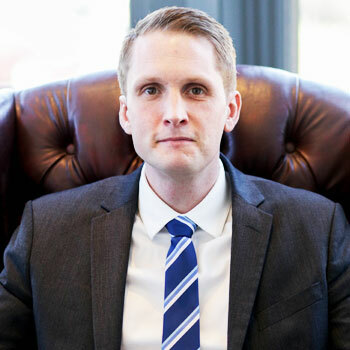 During law school, Bryan clerked for the Northern Illinois University Office of General Counsel, representing the Bursar in collections under Illinois Supreme Court Rule 711, and prior to law school, he worked as a certified paralegal for a bankruptcy law firm in Milwaukee.